The now much-lauded annual BBC 'Sound of...' poll has been showcasing the forthcoming musical mood of a nation for a decade. A quick Google confirms that at the beginning of 2009, those whose votes were used to compile the poll felt strongly that the year would be shaped by a range of female poppers, many of whom were channelling the motifs of eighties electronica. Little Boots topped the poll, with Florence and the Machine, La Roux and Lady Gaga helping make up the Top Ten. Even though her sometime collaborators Empire of the Sun also made the shortlist, New Zealand's Pip Brown, aka Ladyhawke, was conspicuous by her absence. Not least given the unflinching ubiquity of tracks like 'Paris is Burning', 'Back of the Van' and Top Shop classic 'My Delirium', which dominated the airwaves throughout late 2008 and 2009, and all of which were taken from her eponymous debut album. 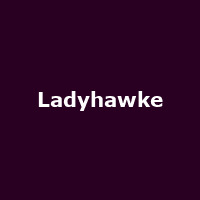 Three years on and Ladyhawke is putting the finishing touches to her second studio record, 'Anxiety', which is set for release on the 16th March, delayed from late 2011. A month or so after 'Anxiety' hits the shelves/servers, Ladyhawke kicks off her UK tour in Brighton on 23rd April, followed by dates in Gloucester, Nottingham, Birmingham and more, including a date at the 2012 edition of 'Live at Leeds' on 5th May, before the final gig of the run at the Shepherds Bush Empire on 11th May 2012. We will have tickets available when they go on sale at 9am on Friday 27th January, priced £16 for London and £14/£15 for all other venues.